Jeff Beck Guitar and Gear Guide | Zing! 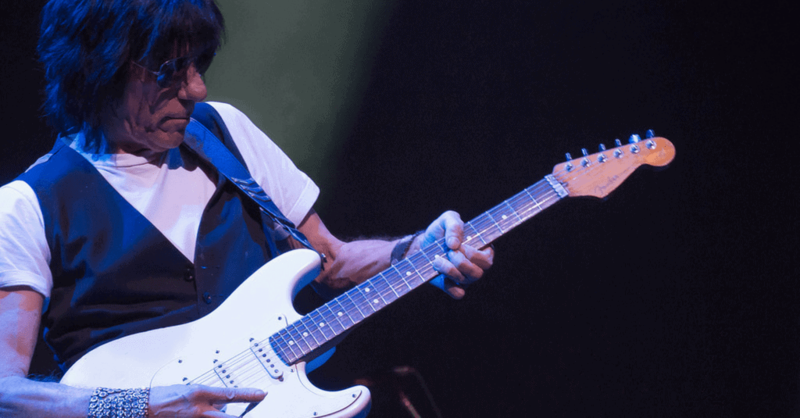 Grammy award-winning guitarist Jeff Beck never achieved the mainstream success of his contemporaries, but his most avid fans love him all the more for that. With releases exploring everything from blues to electronica, Beck is a musician who flies under the radar enough to take risks and explore in ways his peers can’t. Called the fifth best guitarist in the world by Rolling Stone Magazine, Jeff Beck is the ultimate guitarist’s guitarist, and without him, music wouldn’t be the same. To help you learn how to sound like Jeff, we’ve compiled the best guitar and gear guide around. We’ll show you what guitars, pedals, and amps Jeff played with suggestions of other instruments that’ll get the job done. But before we jump in, let’s talk about how the incredible musician got his start and what he’s accomplished. Born Geoffrey Arnold Beck, Jeff Beck was born on June 24th, 1944 in Wallington, England. Beck’s first foray into music began with a stint singing in the local church choir. By all accounts, Jeff was a wonderfully weird kid. 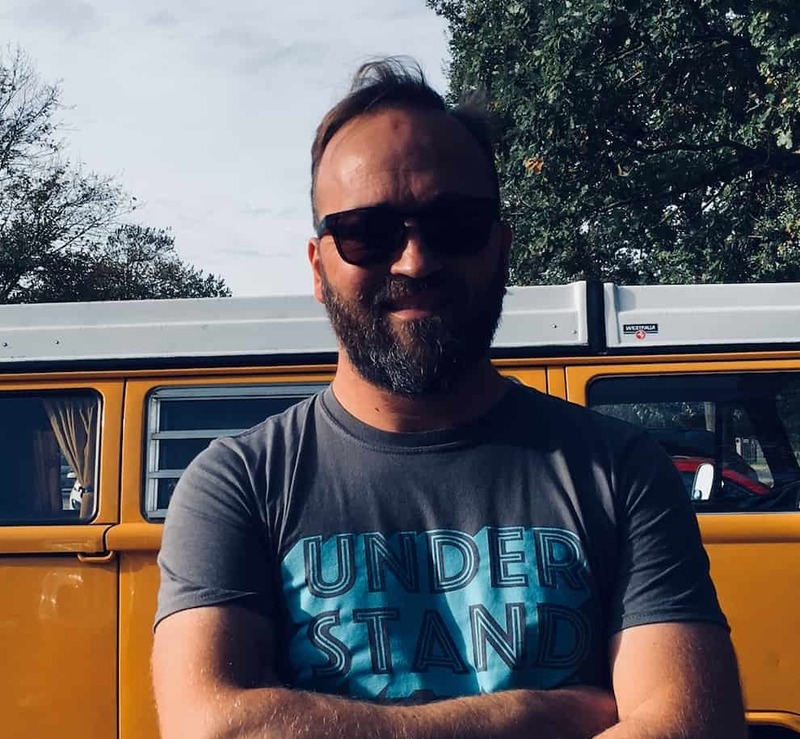 He first learned to play guitar by borrowing a friend’s in high school and then attempted to build his own by bolting a cigarette box to a fencepost. Beck credits Les Paul as being the first electric guitarist that inspired him. Then, in 1965 under the recommendation of his friend Jimmy Page, Beck took over Eric Clapton’s guitar duties for The Yardbirds. Though Jeff only played with the group for twenty months, most of the band’s Top 40 hits were recorded during this period. It’s also remarkable to note that these songs came from the lone album Beck managed to record with The Yardbirds, titled Roger the Engineer, which was named Over Under Sideways Down in the United States for some reason. Beck’s short tenure with the group ended suddenly during a U.S. tour. The band decided to fire him for his explosive temper and habit of missing practices and shows. For the next 60 years, Beck led an extraordinary and sometimes troubled solo career, making music on his own, with The Jeff Beck Group and even appearing again with The Yardbirds on stage in the ’80s. He was notably busy in the ’90s and worked with everyone from Kate Bush to Guns N’ Roses. In 2009, he was inducted to the Rock and Roll Hall of Fame as a solo artist, and a year later, his album was released to critical acclaim. He’s won eight Grammy awards and is widely considered to be one of the most influential guitarists of all time. Which Guitars Did/Does Jeff Beck Play? Jeff played with and still owns one of the most impressive collections of guitars in the world. While touring with The Yardbirds and The Walker Brothers in 1965, he picked up a 1954 Fender Esquire. He bought it from John Walker and it quickly became his favorite guitar. By all accounts, the Esquire was hugely influential in Beck’s early career and was heavily featured in his short tenure with The Yardbirds. It was stolen on another tour with The Yardbirds but was recovered a week later. In 1974, he traded this guitar for a modified telecaster. In 1966, Beck purchased a 1959/60 Gibson Les Paul. He made drastic modifications to this guitar by removing the finish to replicate the look and feel of a Blond Les Paul he saw in a catalog. The guitar allegedly fell off of a tall Marshall amp in the early ’70s and had to have the neck replaced. The luthier apparently made adjustments that Jeff didn’t like, so he phased this guitar out eventually. He owned another one of these models, which he bought from Rick Nielsen, lead-guitarist of the band Cheap Trick, but it was stolen just a year later. While recording Beck, Bogert & Appice in 1973, Jeff found a 1954 Gibson “Oxblood” Les Paul at a Memphis music store. As the story goes, a musician paid to have modifications done on the guitar like the new oxblood finish and humbucker pickups, but they didn’t like how the guitar turned out and didn’t buy it. Luckily for the store, Jeff loved the strange guitar and bought it immediately. From 1969-1977, Jeff played with a 1954 Fender Stratocaster. This guitar was primarily featured on the cover of the album Live Wire, and Beck used it with the Jeff Beck Group and Beck, Bogert & Appice. In the ’70s, he modified the guitar, switching to a large headstock rosewood neck. Apparently, people really like Jeff. In fact, one guy just gave him his guitar, which was another 1954 Fender Stratocaster. It’s not verified, but this is the guitar rumored to have been the one Jeff played during the ARMS Charity Concerts. Since Jeff Beck has an unfortunate history of having his guitars getting stolen, he often keeps his favorites safely locked away in his studio. One such guitar is the 1960s Fender Stratocaster, which was also gifted to Jeff. This guitar is most prominently featured on the album Wired. This incredible instrument inspired the early 90’s Fender “Jeff Beck” Custom Shop Stratocaster series of guitars. The model Jeff plays today is said to be one of his most played guitars. It boasts a Wilkinson roller nut, three single-coil pickups and a rosewood fretboard. The guitar is a Frankenstein of sorts because it borrows different elements from various Fender guitars. For a couple of years now, Jeff’s been seen playing a 2016 Fender Stratocaster Custom Shop JB w/ Reverse Headstock during his tours. This is a special guitar for a couple of reasons, mainly because the headstock is turned 180 degrees. The bottom of the fretboard is also sharp and thin around the 22nd fret. And last but not least, we can’t end this section without mentioning the Maccaferri Plastic. This 3/4-sized guitar carries a huge sentimental value for Jeff because he received it as a gift from his lifelong friend Jimmy Page. This era and style of acoustic guitar was made famous by Gypsy jazz musician Django Reinhardt. Which Guitar Should I Buy to Sound Like Jeff? We’ve got some bad news and some good news. Let’s start with the bad news, shall we? Jeff played with an insane amount of guitars over the course of his career––a career that’s still going strong today, I might add. Many of the guitars this masterful musician has used throughout the decades are now incredibly rare and expensive, so replicating Jeff’s guitar collection to a tee just isn’t possible. But the good news is that there’s plenty of great options out there that will help you sound like Jeff. If you’re looking to capture the sound and energy of Jeff’s early career with The Yardbirds, check out the Fender Standard Stratocaster. This is the best Fender Stratocaster for the money. If that’s too much money, consider picking up a Fender Deluxe Stratocaster. Not as fancy as the Standard, but it’s a great starter guitar that won’t cost the earth. For Jeff’s post-Yardbirds playing, there’s no better choice than the guitar that was named after him. The Fender Jeff Beck Stratocaster is considerably more than the previously mentioned guitars, but as they say, you get what you pay for. This stunning guitar features dual-coil ceramic noiseless pickups, a thin C-shaped maple neck, and a gorgeous rosewood fretboard. If you want a Les Paul, obviously an original would be ideal – but there’s also some great Les Paul Copies available. During his short tenure with The Yardbirds, Beck used a Vox AC30. This amp was mainly used for his Esquire. But the amp Jeff is best known for is the Marshall JTM45 Plexi, which he played with after leaving The Yardbirds. An interesting side note: the word ‘Plexi’ refers to the plexiglass design on the front of these amps. The word ‘Plexi’ is now used to refer to this British ‘crunch’ sound, and you can get Plexi pedals that emulate this sound). It’s featured on tons of his recordings and is a regular fixture on his tours. Another such post-Yardbirds amp is the Marshall JCM2000 DSL50, which Jeff played with throughout the 90’s. While touring with Stevie Ray Vaughan in 1989, Jeff famously used a Fender Twin Reverb Reissue. During his “Rock N Roll Part Tour,” he played with blue and blue Fender Pro Junior amps. And last but not least, Jeff’s been incorporating a Fender Vibro-King into his live sets since 2010. A terrific albeit not very cheap option to capture Jeff’s Yardbird days is the updated Vox AC30. These amps are solid, powerful and reliable. Marshall still makes the JTM45 2245 30W Plexi but if you’re looking for a cheaper option, check out the Marshall DSL Series DSL100H. If you’re looking for a solid reverb amp for not much dough, might I suggest the Fender Champion 100, which is rather well priced. But if you’re living large and are willing to spend a pretty penny to send like Jeff, consider picking up a new Fender Vibro-King. For a princely sum, this all-tube hand-wired beast can be yours. Jeff’s ability to embrace technology and the new sounds that come with it is one of the reasons he’s managed to stay a relevant and influential musician for the past 60 years. The first pedals he’s said to have used are the Dunlop Cry Baby and the Colorsound Overdriver. But he’s used many, many others throughout his career. Unless you’ve got lots of cash and time on your hands, you’re best off buying a couple of effects pedals that most accurately reflect Jeff’s sound. If you’re more advanced and are picky about your pedals, consider picking up a Dunlop Cry Baby. For those looking for a powerful overdrive pedal, check out the Vick Audio Overdriver. And if you’re interested in matching the sound of Jeff’s delay-laden guitar lines, lucky for you they’re still making the Way Huge Aqua Puss Analog Delay Pedal. Jeff Beck might not be as famous as some of his contemporaries but listen to this incredible musician play his instrument and you’ll immediately know that the love of music alone is what drives him. Yes, using similar tools to create music will help you play like him, but nothing can replace the decades of sacrifice, experimentation and difficult work it’s taken him to build his prowess and signature sound.